The BlackBerry KEY2 was released to the public earlier this year in June, retailing at a price point beginning at RM2,599. 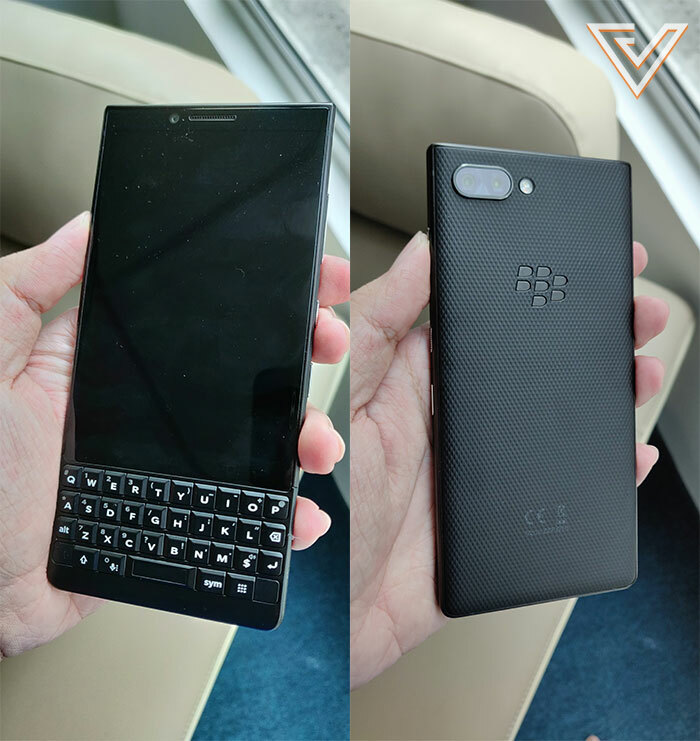 The KEY2 features a physical keyboard that sits under a 4.5 inch LCD display, following in the footsteps of last year’s Key One. Other notable features of the KEY2 include quick physical shortcuts and a software suite full of privacy features. When I first picked up the BlackBerry KEY2, everything I could immediately observe about it melded and coalesced into one huge, one very basic question: Who is this phone for? But having not ever owned or used a BlackBerry in my life, the only thing I wanted to know was whether or not a phone with such a unique set of features had any place in the smartphone market of 2018. Right away, the KEY2 invokes memories of the Bold and the Curve—strong reminders of the glory days from when the once-dominant giant held sway over a large portion of the world’s smartphone market. In front, the physical keyboard takes up a quarter of the real-estate of the front facade, sitting under an IPS LCD touchscreen that measures 4.5 inches. The keyboard itself doubles as a trackpad that can be used to navigate certain features such as scrolling through menus and backspacing while texting or typing out emails and the like. It also features a fingerprint scanner that was surprisingly quick and accurate considering its atypical long rectangular shape. The rest of the body is as standard-fare as you’d expect, with the KEY2 going with a full plastic back instead of a glass construction, which I quite preferred (I always worry about dropping my phone). Overall, I found nothing to complain about where build-quality was concerned, although some might prefer a build with more premium materials and heft for a phone with a price of RM2,599. Real world usage for the KEY2 was a bag of mixed experiences, with most of the feature set proving initially overwhelming. First, the keyboard took some getting used to, and for someone not accustomed to typing on physical keys the size of teeth, the overall experience was a bit of a challenge. Starting off, typing speeds on the keyboard were sluggish, with the need to toggle the Alt key to trigger uppercase alphabets and numerals proving a bit of an annoyance. But after a while, things became a bit more familiar and I began to warm to the idea of having a perpetually available keyboard, although my preference still remains with an on-screen one which you can turn on and off as you like. One thing I did appreciate about the KEY2 was its nifty Speed Key feature, a small button at the bottom right of the keyboard that allowed me to access just about any app or feature on the phone by simply holding it down and pressing any other mapped key on the keyboard, basically turning the whole keyboard into a large physical shortcut menu. Other shortcut features I appreciated also included the Convenience Key sat right below the power button that let me quickly access a group of apps depending on what profile I engaged, and what apps I chose to place under said profile. For my standard profile, I put in quick access to the settings menu and calculator, and for the meeting profile, I put in quick access to the voice recorder. More on the software side of things, the KEY2 also came bundled with BlackBerry’s own suite of apps, some of them pretty handy. For example, the DTEK app offers real-time monitoring and allowed me access to a comprehensive view of what the KEY2 was up to, like if an app was trying to access the camera or microphone, or if there were any security updates that were pending. Then there was the BlackBerry Privacy Shade app that allowed me to black out a large portion of the screen and only view a small part of it, effectively preventing others around me from peeking at any potentially important or confidential info that was on screen. 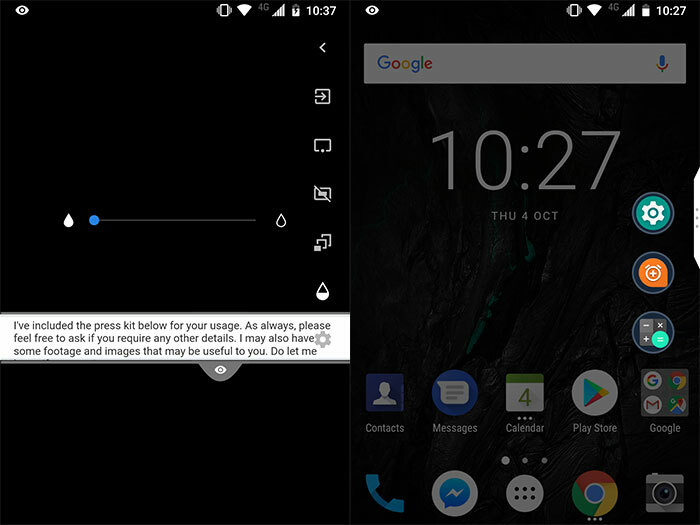 Left: The Privacy Shade feature is great for those handling sensitive documents, Right: The Convenience Key is just one of the many shortcut features available on the KEY2. Looking at the rest of the tools and available trinkets on the KEY2, it completely reinforced the idea that the device was all about security, privacy, and peace of mind. To top it off, the KEY2 also brings with it a very impressive battery with true multi-day life, easily lasting a day and a half on a single charge with light to regular usage (music listening, web browsing, checking on social media, etc). And though this is already something I’m sure is already something of a standard in the context of today’s tech, productivity nuts out there can be assured their device will have the juice enough to keep up. Despite all the nifty tricks up its sleeve, the KEY2 does have a number of drawbacks, some of which might be actual dealbreakers depending on your use case. For starters, the dual camera setup at the back doesn’t do too well. Not in well-lit scenes, much less in dark. 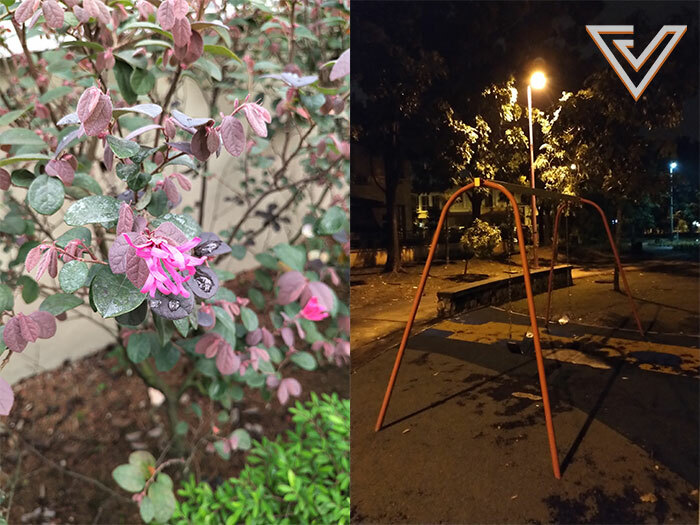 Without going into too much nitpicking, shots taken in bright conditions had underwhelming colours, and night shots were noisier than what I considered acceptable. For practical purposes, the camera does well to capture the subject, but don’t bother trying for the super Instagrammable shot. Get a P20 Pro or a Note 9 for that. Colours are a bit washed out, and night shots aren’t detailed and have a bit of noise. Then there was the display that was not particularly enjoyable when media consumption came to the fore. Compared to other phones with much larger screens over 6 inches, the KEY2 did not impress when it came to YouTube videos or gaming, nor was it particularly pleasant for scrolling through social media feeds due to its limited viewing space. Looking at the BlackBerry KEY2 objectively, it’s quite apparent that this phone isn’t for everyone. For those looking for an amazing entertainment device, there’s a multitude of other options at varying price points, with bigger screens and more vivid colours to boot. And for others seeking a great camera, this isn’t even in the same bracket as others such as the P20 Pro or even the OnePlus 6, both of which fall within similar price categories. But to answer the early question: there is a place for the KEY2 in today’s market, and that’s within the productivity space. 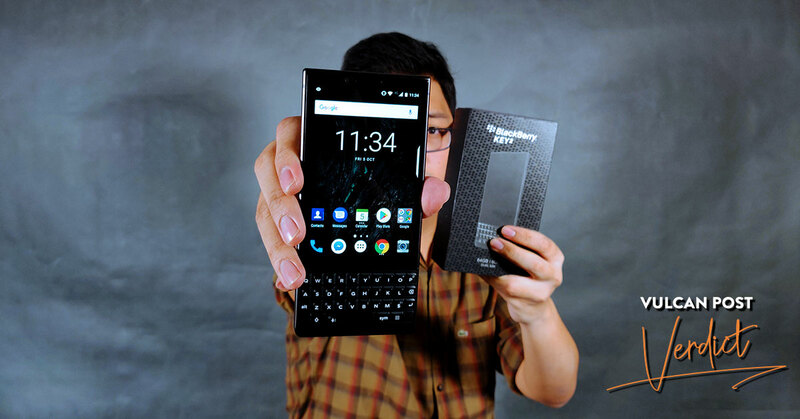 Standing alone, the quirky components that make up the KEY2 (namely the physical keyboard, the suite full of privacy features, and its variety of shortcuts) may seem like gimmicks. But together, they all make sense for the individual with a lot of important information to handle. Sure, the KEY2 may have a fair bit of drawbacks, and its RM2,599 price tag may come as a bit steep considering its unique and limited feature list (smaller-than-usual screen, no wireless charging, mediocre camera), but then again, depending on what you’re after, the KEY2 may still just prove to have just the right tools for what you need to do. To know more about the BlackBerry KEY2, you can get more details here.